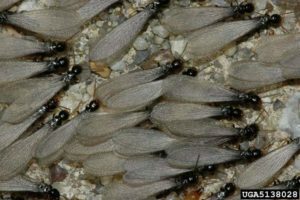 Spring is right around the corner and when the temperatures increase termites will swarm. They could appear by the thousands and may cause you dismay. Don’t panic – give our office a call for a free inspection! Our experienced technicians will inspect your home and provide you with the information you need to make an informed decision on your next step to tackle the termite problem. Termites cause $5 billion dollars in damages to homes in the United States annually and this damage is not covered by homeowner’s insurance. Don’t delay – call us today! Previous Previous post: Are Termites Swarming Your Home?